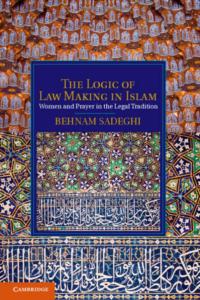 Darul Qasim faculty member Dr. Muhammed Volkan Stodolsky recently wrote a review of The Logic of Law Making in Islam: Women and Prayer in the Legal Tradition by Behnam Sadeghi. The Logic of Law Making in Islam: Women and Prayer inthe Legal Tradition. By Behnam Sadeghi. Cambridge: Cambridge University Press. 2013. Pp. 215. \$95.00.ISBN-10: 1-107-00909-7.